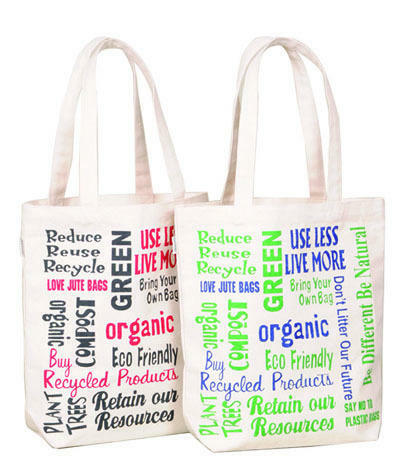 We are one of the widely acclaimed manufacturers, exporters and suppliers of Organic Cotton Bags. The offered organic cotton bag is specially designed and crafted by using cotton fiber. Our supplied organic cotton bag is highly liked and acclaimed by the clients, due to the natural cotton yarn and durable design. We started functioning in 1982 and since then we, India Printing Works (S. S. I. Unit) have been involved in the manufacturing, supplying and exporting of Jute and Cotton Bags. Our products are Jute Shopping Bags, Cotton Bags and Jute Promotional Bags widely used and are available in wide variety of colors, pattern and design. The design and pattern of this bag are done by expert designers who are well-versed in this field and have adequate knowledge. Our firm is very much quality oriented firm and thus in order to ensure quality we keep conducting several tests on our product. We at our end conduct an exhaustive study and on its basis, we choose a vendor to procure raw materials. The material which we acquire are checked and certified and therefore it makes our product durable and efficient. We export our products in Europe, Middle East, U.K and USA. The ranges which we manufacture are widely used by the clients all over for various purpose, either it is for storage, carrying food or household items, storage of bottles and various promotional activities.The materials which we use are oh superb cotton and jute materials with long shelf life and bear any kind of wear and tear. We are also known for creating products on clients demand as per their given specification and design and we are also specialized in lamination and printing on the bags which are highly in demand for promotional activities. We are backed with the enhanced infrastructure unit which houses the latest machineries, tools and team of professional experts with the help of which we develop outstanding products.